My older boy is entering middle school next month. He is suddenly almost as big as I am. He has developed a sarcastic dry sense of humor. He loves to play basketball, to plug into his computer and to listen to moody music. He even asked me not to hug him in public (I mostly honor this request). Frankly, he’s growing up way too fast for my comfort. But I continue to read to him & his brother everyday. And he still loves it. This means a lot to me. 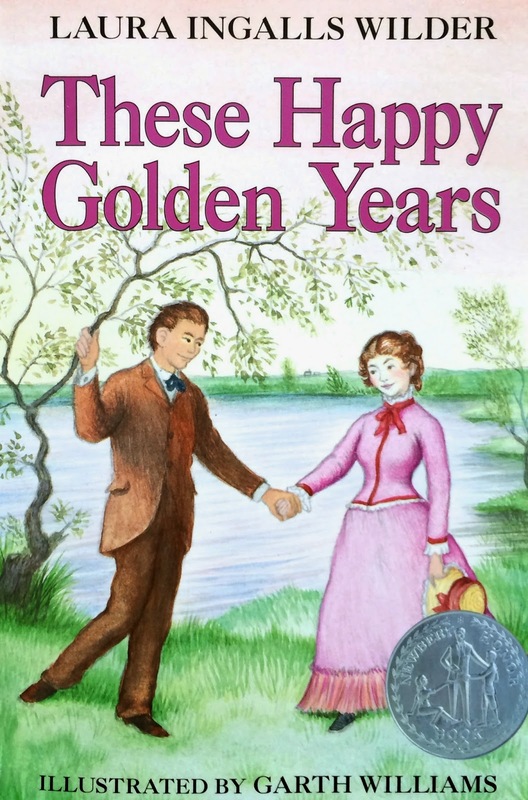 Not only that, but he admits to enjoying our current read aloud – “These Happy Golden Years.” I find that especially amazing given the fact that everything else he’s reading on his own is either some depressing Dystopian fiction or a graphic novel. My heart wore a delighted grin as I continued to read aloud to them. When my littler guy learned to read, he was a funny little fuzzy haired five year old with an outrageously scratchy voice. He never tired of reading his favorite “Piggie and Elephant” books aloud (to himself, to me, to anyone who would listen). 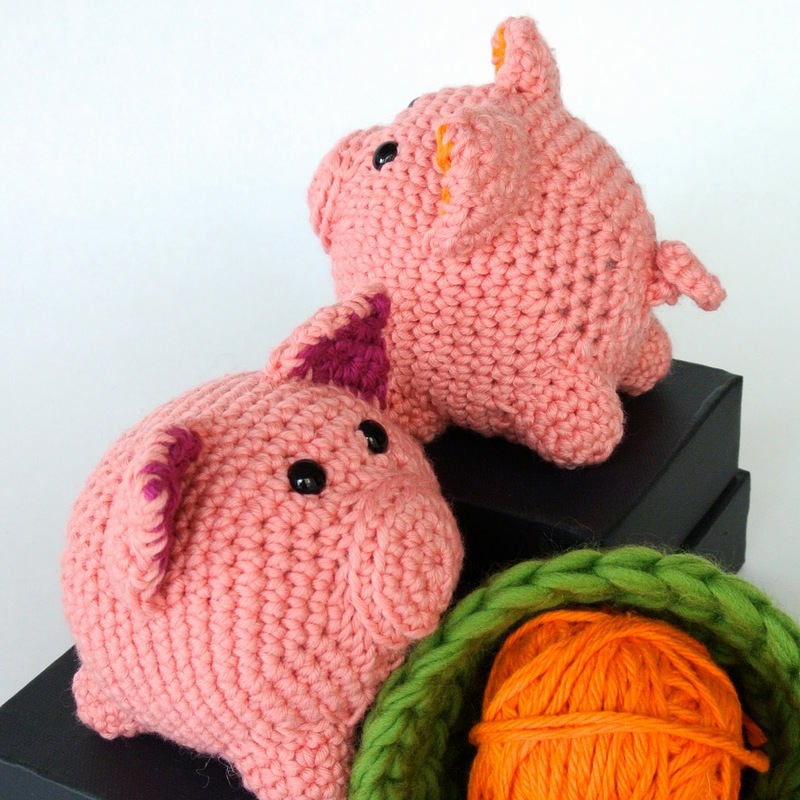 These amigurumi pigs (PIGS!) remind me of those early reading days. I chuckled my whole way through this fun project. Pattern from the book “Teeny Tiny Animal Crochet” by Kristen Rask. My piggies are actually not so teeny tiny. I used a slightly larger hook and thicker yarn than recommended. Each pig is just a little smaller than the palm of my hand. They’re cute, huh? I especially like their curly tails. So glad I used my pink yarn to make these guys instead of the amigurumi spam I’d originally intended the yarn for. Spam or pig. Spam or pig? Definitely pig! PIG! The big project for the next few weeks is setting up my new studio. A bit of a challenge since space is so tight. Just a little more than 11 feet by 11 feet. to empty my home of all those supplies I squirreled away in every possible nook & cranny since the awful incident that closed down my pretty little shop back in March. Gave away half my tables and chairs. Figuring ways to store things in plain sight in a visually pleasing manner. 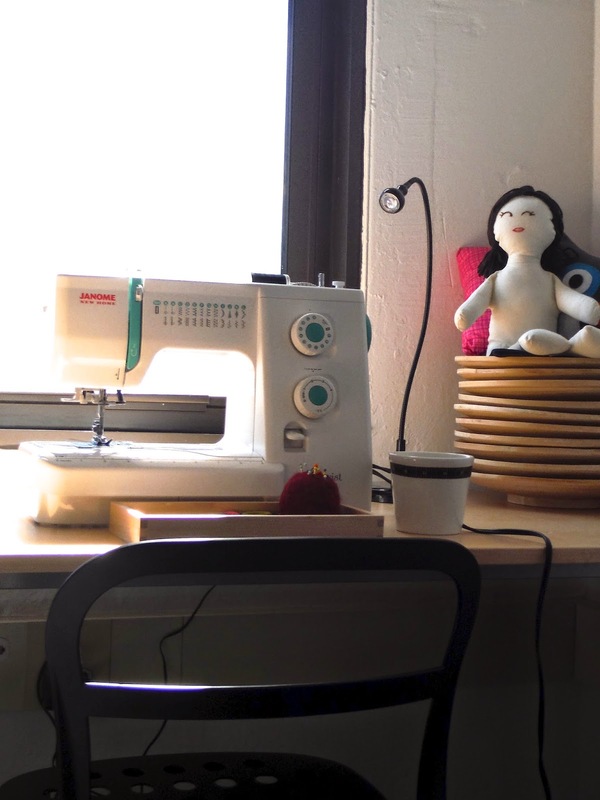 A few days ago, I sat down in my new favorite sewing spot. I needed to make a fresh set of sewing caddies. It’s not what I’d originally dreamed up and built last summer. But there’s something special about this studio. It’s good to start afresh. 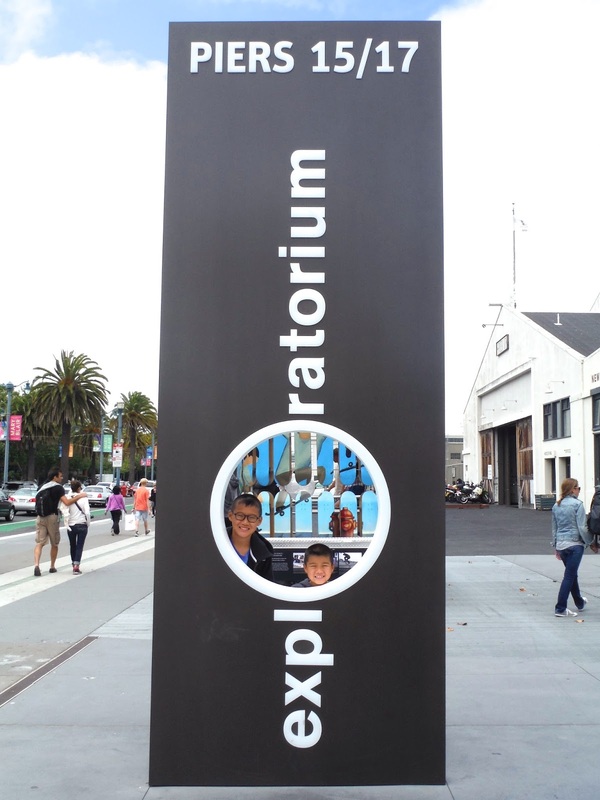 Last week, we spent a most marvelous afternoon playing at the San Francisco Exploratorium. What an wonderful place! If anyone is thinking about visiting, be sure to allocate a number of hours to this activity – there is so much to do and see! There’s an outside space where kids can run about, climb a little, learn about winds and even make it rain (while standing under a big orange umbrella). Inside, there are multiple galleries filled with fascinating contraptions and learning opportunities – each more interesting than the last. We made stop motion animation clips, broke a sweat on the pedal generator (well, at least, I did) and experimented with lights, sounds and electricity. Each of us had a favorite “thing.” For my 6 year old niece? It was this toilet-shaped-drinking fountain. Little girl couldn’t stop giggling over it & going over for just one more sip of water. 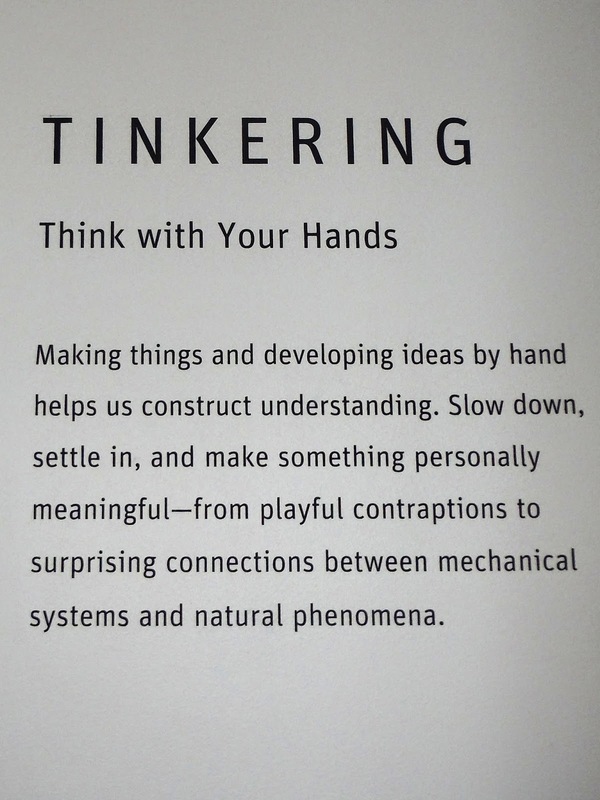 My boys & I loved the Tinkering Gallery the best. Inspiring. Amazing. Where they advocate that we “create rather than consume.” I could have stayed in this section all day. 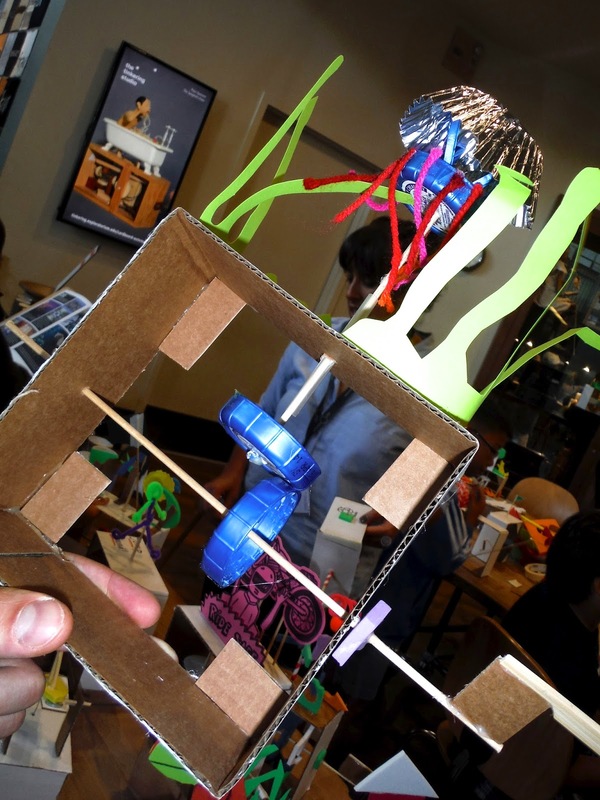 There are outrageously delightful things the Tinkering Studio artists have created. 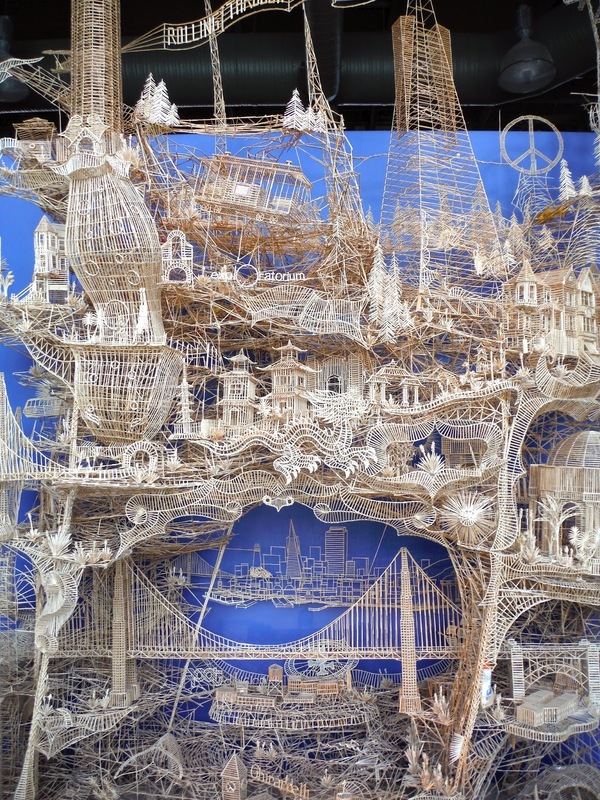 Consider this ginormous toothpick sculpture by Scott Weaver. He spent 38 years on this. I believe glue & toenail clippers were his main tools. There are paths throughout this sculpture that allow little ping-pong sized balls to roll down it (like a giant marble run). Have I mentioned how much I love the Tinkering Gallery?! The first thing I’m inspired to make is an automaton. There was too long of a wait, so we did not stay to make one during our visit. But I made sure to take a close look at what others had put together using cardboard, craft foam, wooden skewers and even plastic caps. I plan to start with these materials. 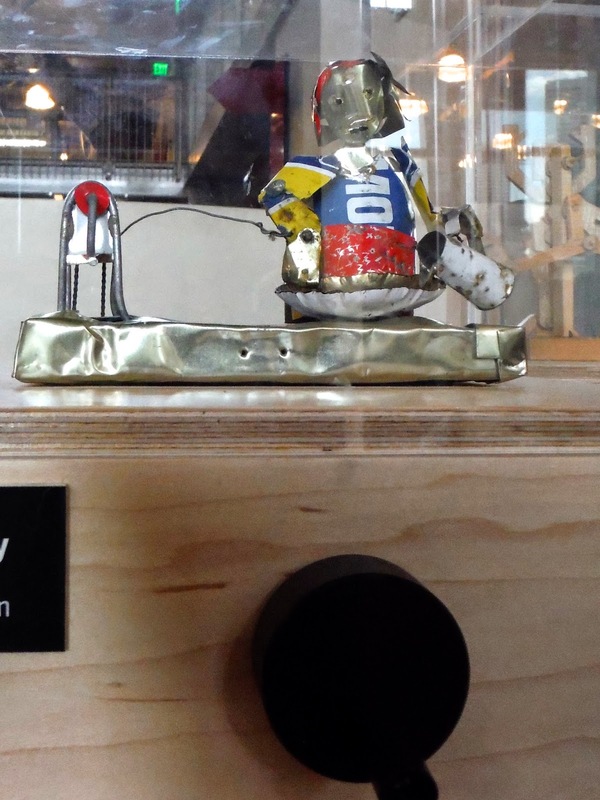 Ultimately, I would love to create an automaton using wood & metal. I was completely charmed by the clever “Stirring Lady” by Lucy Casson. Be sure to click on the link – you can watch this little lady stir and stir as the handle is turned. I wonder, what will I need to learn to make something this wonderful? What do you pack when you’re traveling and anticipating downtime? Books? Journal? iPad? I like to bring along my crochet caddy & some yarn. I choose a project simple enough that I can easily start & stop. Then I chip away at it while on the plane, when everyone else is still asleep or even when I’m waiting my turn to use that one hotel bathroom. Guess I’m too fidgety to just sit still (or sleep more). 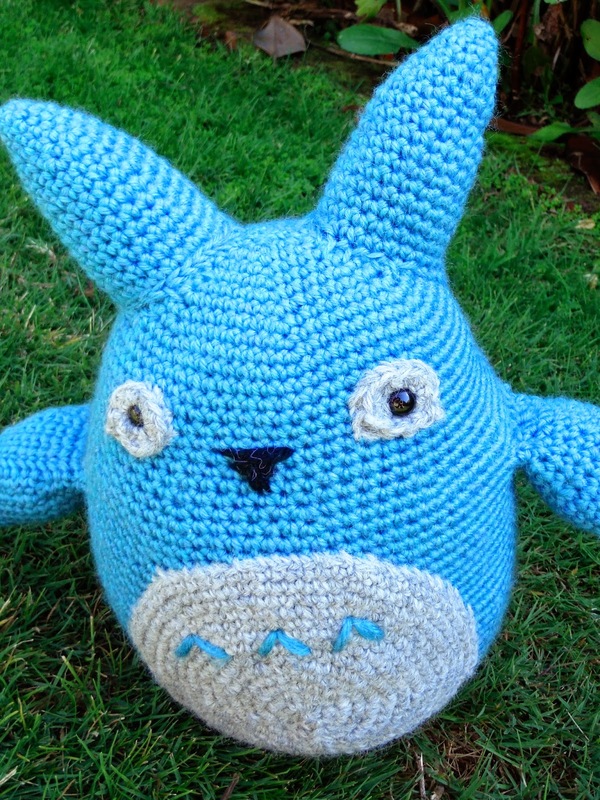 Here’s what I made during those “between” moments last week in San Francisco: Amigurumi Totoro! He’s cute, huh? 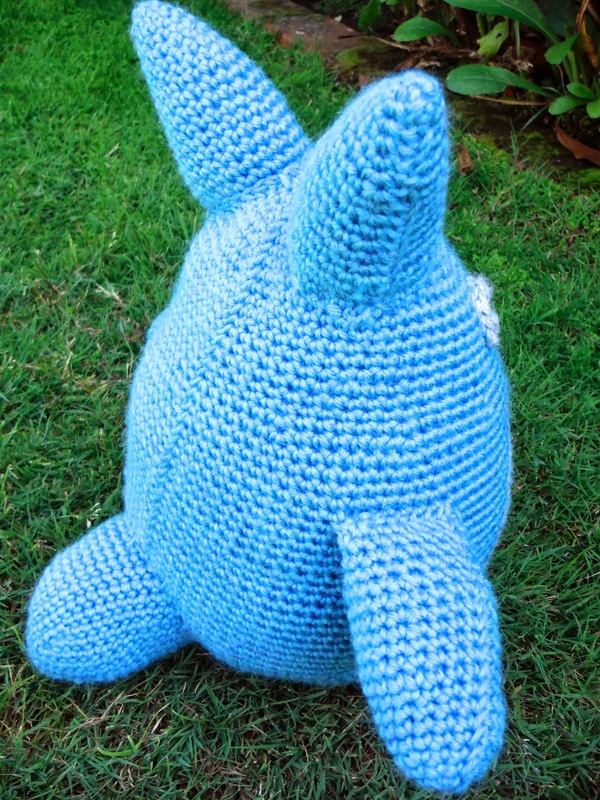 To make him, I followed the Blue Totoro pattern by Lucy Ravenscar (thank you, Lucy!) I used just over a skein of cascade 220 Superwash yarn (color 1911), a bit of scrap grey and black yarn, one pair of safety eyes and a 3.75 mm crochet hook. My guy measures just under 10 inches tall from tip of ear to rounded bottom, which is bigger than the original pattern results. 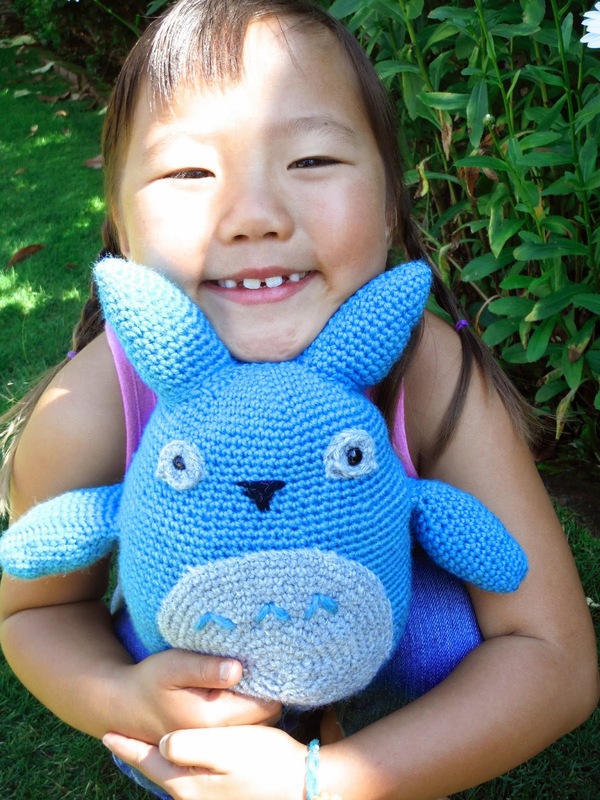 Tested Totoro out on my son & my niece. 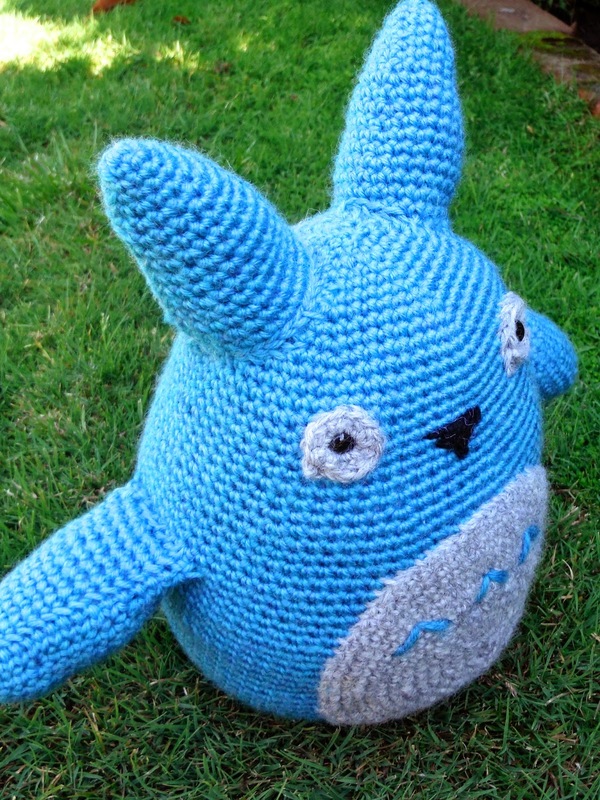 Both children’s first reaction was to squeeze him tight & to ask to keep him… sorry kids… this Totoro is for me. But would you like to learn to make him for yourself?